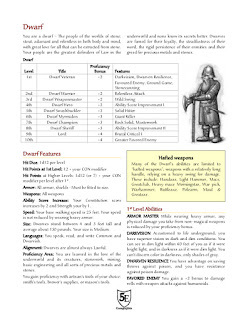 The Dwarf is up for review. 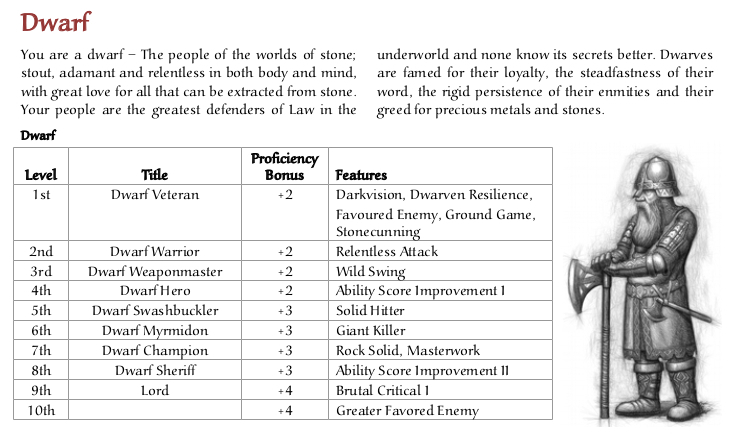 The Dwarf in B/X is basically the fighter with better saves. I decided to let Extra Attack be a unique feature of the fighter in Into the Unknown. 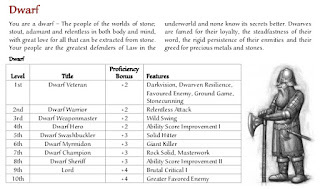 So the Dwarf is instead based around being a a good mook horde breaker (from 3rd level onwards) and otherwise being a reliable hard damage dealer against solitary foes, who can also take a good amount of punishment. 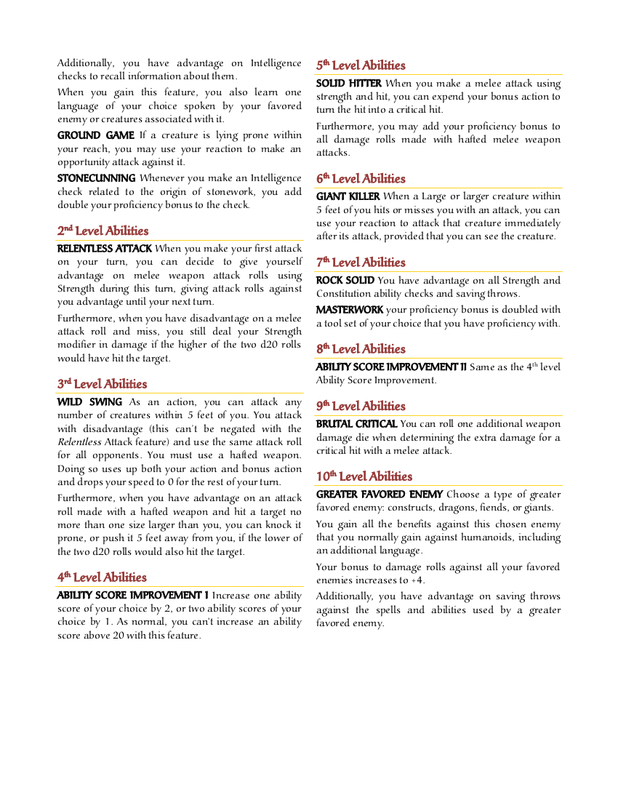 I've tried to focus on mechanics that doesn't require extra die rolls or new mechanics to learn (or if they do, ride on existing ones - two abilities look at the ignored die of advantage/disadvantage for their effect - And two other abilities involve invoking advantage and disadvantage for nice synergies). Oh and I added favored enemy. Because it's well known that dwarves carry a mighty grudge against their enemies. Overall, I am really happy with the result. I think it would be would to play (combining free shoves on advantage with opportunity attacks on prone foes has a definite cool factor when you are swinging a heavy mace or axe). I've tried to balance it against the fighter and revised ranger. 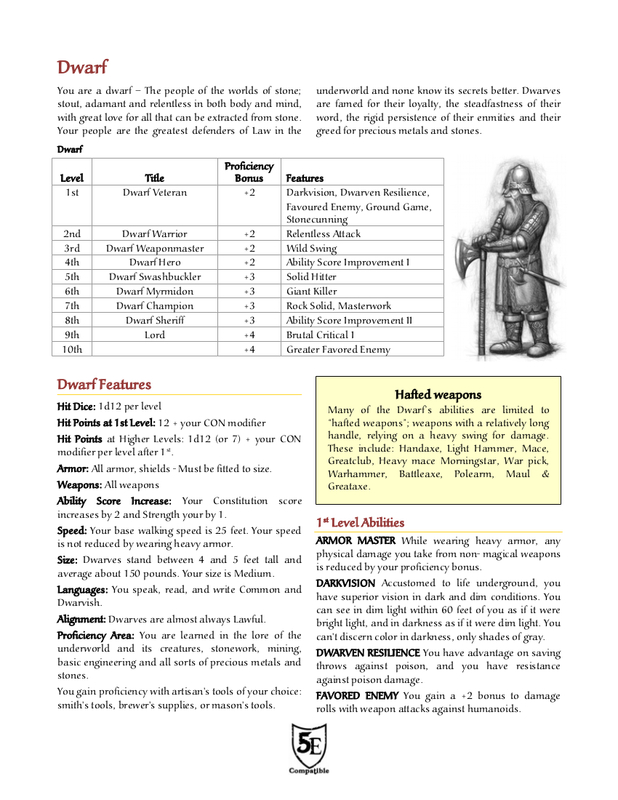 It may seem heavy loaded from levels 1-5, but that compares directly against second wind, action surge, extra attack and improved critical/battlemaster shenanigans. It strikes me as more or less on par. I would of course love to hear people's opinions - On balance, fun factor and all that. In other news, I've decided to split Into the Unknown so the main rules set only goes to 1-10. 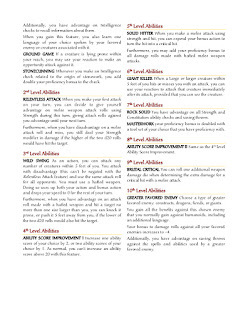 Besides the good reasons in terms of accessibility and focus, it also makes the job of writing the GM's Handbook part actually doable. Once the Companion volume has been written, it will be simple enough to make a "complete" version collating the two. And since it's all "Pay What You Want", by then it will really be more a question of what presentation is preferred. It also made work on the dwarf a fair bit quicker. :-p. Elf is up next.